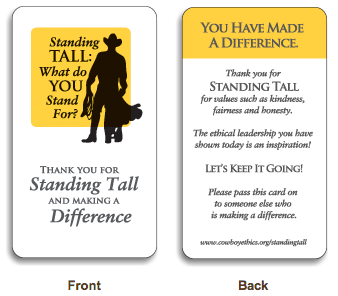 These very popular wallet cards are a great way to thank someone for Standing Tall and making a Difference. People tell us they like to pull these out when they discuss their beliefs or encounter an especially tough ethical choice. Keep several in your wallet to give to friends, family, clients and colleagues.